A watershed stewardship group is any number of people who cooperate to maintain or improve the overall health of a watershed (all the land area that contributes runoff to a particular point along a waterway). A watershed can be big, such as the Fraser River Watershed, or small, such as the Nathan Creek Watershed. 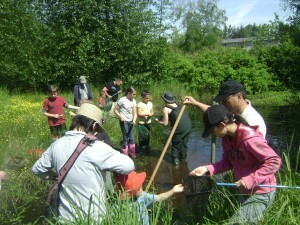 To learn more about the Township of Langley’s watersheds and to see an interactive map click here. 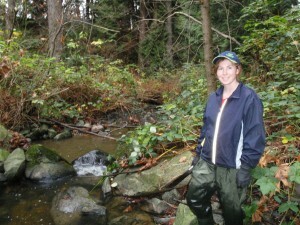 Most of the Langley Stewardship Groups meet on a monthly basis to discuss the state of their watershed(s) and make plans for future activities such as stream cleanups, restoration activities and attending community events to share information about how to keep watersheds healthy and species diverse. What other Resources can Stewards draw on? What Stewardship Groups exist in Langley?